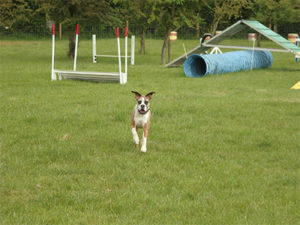 Lynne Davies Dog Training has the solutions to all your dog training needs. Whatever you want to achieve, if your dog has unwanted behaviour you want to eliminate or if you just want to have fun with your dog – there is someone waiting to help you. 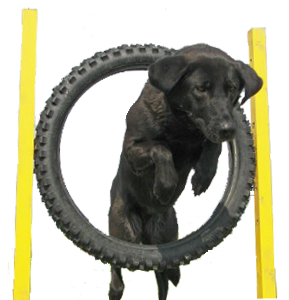 Lynne Davies Dog Training provide quality group or 1-2-1 training in a safe environment. The training is conducted at a steady pace, taking time to explain each step, whilst ensuring that when working as part of a group, waiting for your turn is kept to a minimum. Lynne is also available to visit you at home if your dog has specific behaviour problems or if you want help to ensure that your new puppy gets off to the best possible start. Whatever your problem, whatever your dog training needs, there is an option to suit. All training can be tailored to your specific requirements. Take your pick! Behavioural Consultations, Puppy Home Visits, Group Classes, 1-2-1 training, Intensive training, Residential Dog Training or if you have a problem with your dog chasing sheep or livestock. She comes highly recommended by vets and has worked with “problem dogs” since 1998 having many years of practical experience. Training services are available throughout the United Kingdom and Europe – either at the Milton Keynes training centre or Lynne can visit you in your home. Please see the more detailed information for each training service.